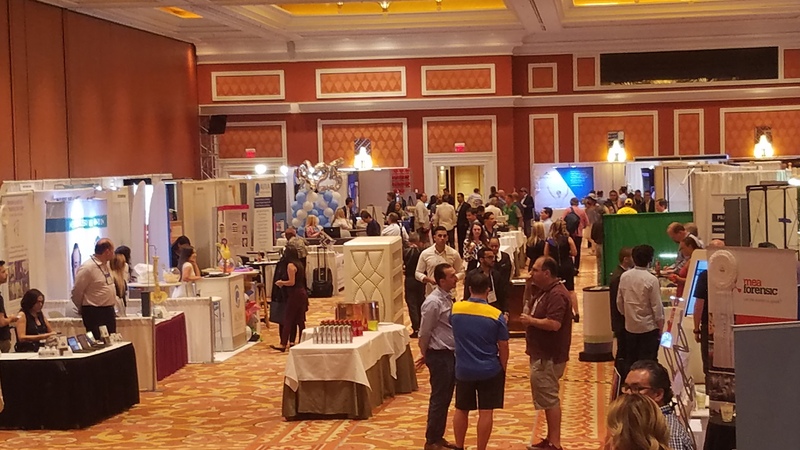 The Consumer Attorneys Association of Los Angeles' Annual Las Vegas Convention is the largest regional meeting of plaintiff trial attorneys in the nation where exhibitors can present their products and services to over 3,000 attorneys. Reach a prime target audience of lawyers, legal staff professionals, law students and judges during our three-day exhibition. Unlike any other legal trade show, our unique exhibit hall layout is tailored to maximize attendee traffic flow. When/If a booth becomes available you will be contacted via email. You do not need to call to check on your wait list status. CLICK HERE to join the Wait List for a booth. Exhibitor registration will open in March. Eligible parties will be sent details prior to the opening of registration. CAALA uses a Point System to determine notification tiers for exhibitor booth selection. Points for the 2019 Convention are earned from 1/1/2017 – 12/31/2018. The CAALA Exhibitor Point System is used to determine notification tiers for exhibitor booth selection at the Annual Las Vegas Convention. Exhibitor points are awarded based on your company's participation with CAALA during the past 2 years. The more you participate throughout the year, the more points you receive. Points are awarded for CAALA membership, sponsorship, exhibiting, Advocate advertising and participation in special events. The tiers determine in which notification group the company will be sent their exhibitor reservation information. Each group is sent the information after the previous tier. Exhibitor registration will remain open until all booths are sold. CLICK HERE for Wait List information. Note: Companies who purchase PREMIER SPONSORSHIPS that include the option to pre-select exhibit booths are allowed to select their booth before Tier 1. Booths on the floor plan are designated “Premium” or “Standard” based on location. Premium booths are locations with higher foot traffic and increased visibility. Exhibit kiosks come fully constructed with a lockable storage cabinet. They are situated in a prime high-traffic location and ideal for companies who do not want to continually staff an exhibit booth. Each kiosk registration includes full convention access for two company representatives. The first step to connect with CAALA Attorney Members is to become an Affiliate Vendor with our association. Any person/company whose nature of business provides goods or services to plaintiff trial lawyers may join as an Affiliate Member. Benefits are designed to help you build new business relationships and connect with more than 3,000 attorney members. Affiliate Vendor membership is $400 annually. You may JOIN ONLINE HERE.